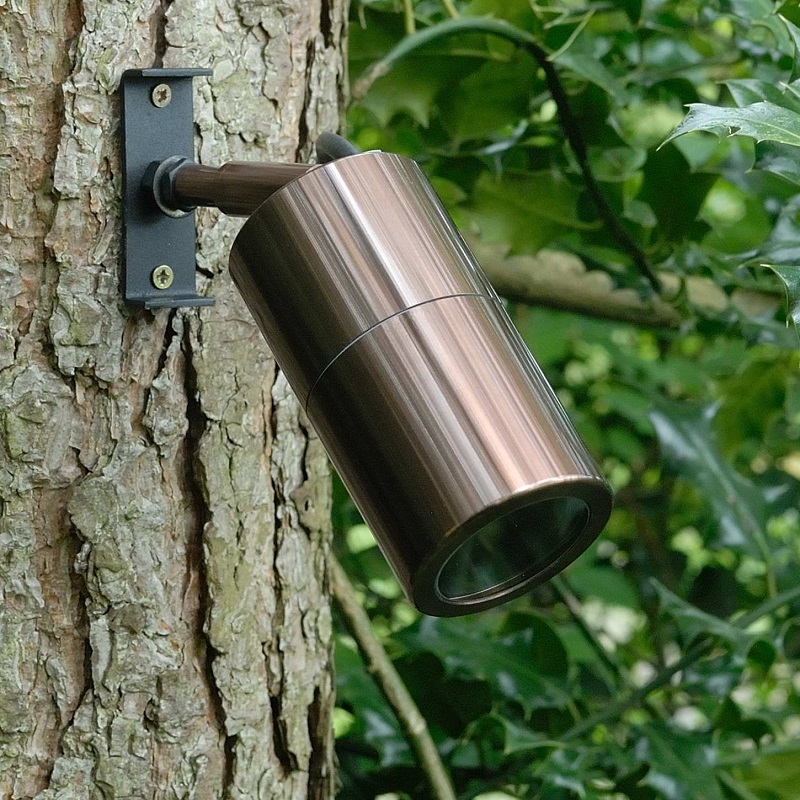 Corona is a stylish spike-mounting garden spotlight with an aluminium body anodised in “light mahogany” for a corrosion resistant metallic finish. It has a clear lens and 12v MR16 lampholder recessed into the tubular body, which is long enough to allow the latest high-efficiency led lamps to be fitted. The spotlight is split with a longer bezel section than the body section so it is easy to grip the lamp for fitting and removal. The 25cm spike may be lengthened for use amongst taller planting by fitting the optional P5MSTEM 25cm Spike Extension. Corona may be used with an MR16 led lamp for uplighting shrubs, smaller trees and focal points. Fitted with a 1.5m cable for connection to the Patilo range of Plug&Play transformers, connectors, extension cables and junction boxes. Screw-on bracket available for adapting Corona to use as a tree-spot. Please remember to buy a 12v Transformer with this product. Screw-on tree mount accessory must be purchased separately.